Ibiza has a date with history the second weekend of may. 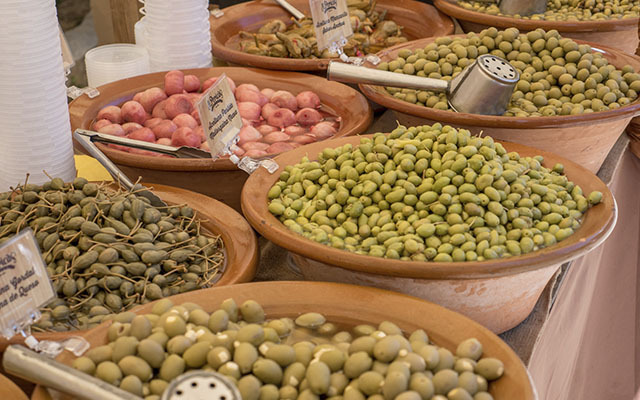 The city and the old town of Dalt Vila will host the Medieval Fair yet again. This event evokes medieval times to commemorate the city’s declaration as a World Heritage Site.In December 1999, UNESCO declared the walled enclosure of Dalt Vila as an Acropolis and best preserved coastal fortress in the Mediterranean region. The area also includes the oceanic Posidonia meadows, the cradle of rich marine biodiversity in the Pitiüses islands, the Phoenician-Punic necropolis of Puig de Molins and the Phoenician settlement of Sa Caleta. 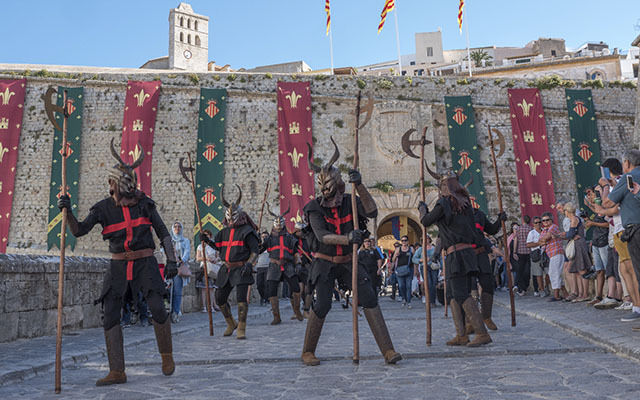 The Medieval Fair is a major cultural event that turns the old Dalt Vila into a huge outdoor theatre. The festivities begin on Friday in the afternoon in the Marina district. Streets, squares and bastions are decorated with colourful and vivid banners, fabrics and draperies to represent the Middle Ages. 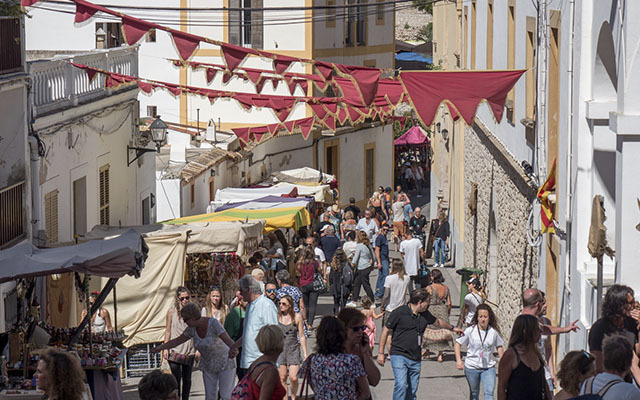 A busy show with performances, concerts and theatrical representations by craftsmen, artists, jugglers, fakirs, nobles, jesters, musicians, merchants and goldsmiths turn the uptown area of Ibiza into a big stage. 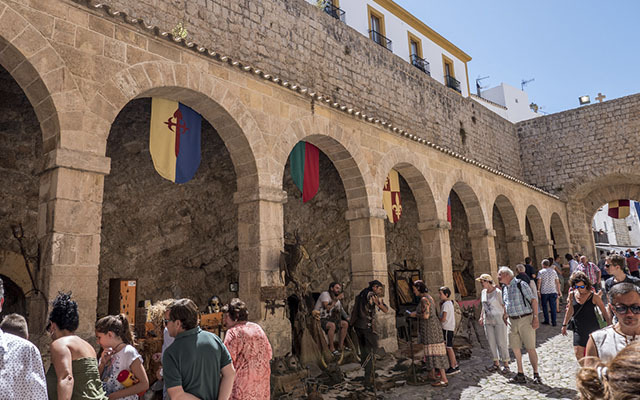 Travellers who visited the island in this weekend of May had an extraordinary time discovering and exploring the old town of Dalt Vila and its walls. The journey began in the Cathedral Square, where falconers and raptor trainers, display their art. In the Town Hall square a Bedouin tent is set up in which they could enjoy a nice cup of tea with some Arab sweets and pastries. A Roman camp taken by sentries is recreated in the “Jardines de la Curia” gardens. On the cobbled streets of the citadel, visitors can experience a compelling blend of scents, colours and flavours from all over the world. A variety of stalls, restaurants and goldsmiths offered an extensive range of products, meats, cheeses, chocolates, spices, leather goods, soaps and fragrances. The walled city of Dalt Vila has its main entrance on the Portal de ses Taules, which is a drawbridge located in the old market of Ibiza, in the heart of the Marina district. The entire old town is a small walled city, which is composed of seven bastions, including Sant Pere, another of the entrances, Sant Jaume, Sant Jordi, Sant Bernat, Sant Joan, Santa Tecla and Santa Llúcia and endless cobbled streets, squares and stone staircases. It is the largest artistic and cultural enclave on the island due to its many museums, art galleries, beautiful churches, convents, interpretation centres and small palaces.